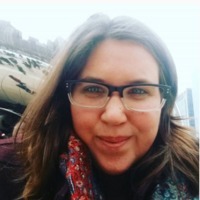 Dr. Samantha Noll is an Assistant Professor in The School of Politics, Philosophy, and Public Affairs (PPPA) at Washington State University and is affiliated with the Functional Genomics Initiative. Her research contributes to the fields of bioethics (ethics of biotechnology), philosophy of food, and environmental philosophy. She publishes widely on topics such as how values impact food systems, food justice and food sovereignty movements, and the application of genomics technology. Piso, Z., Werkheiser, I., Noll, S., and C. Leshko. “Sustainability of What? Recognizing the Diverse Values that Sustainable Agriculture Works to Sustain,” Environmental Values, 2016. Noll, S. “History Lessons: What Urban Environmental Ethics Can Learn from Nineteenth Century Cities,” Journal of Agricultural and Environmental Ethics Volume 28(1): 143-159, 2015. Agricultural and Environmental Ethics 27(2): 211-224, 2014. Noll, S. “Broiler Chickens and a Critique of the Epistemic Foundations of Selective Breeding and Genetic Modification,” Journal of Agricultural and Environmental Ethics Volume 26(1), 2013: 273-280, 2013. Noll, S. “Notes from the Underground: Observations of a First-Year Philosophy Graduate Student,” APA Feminism and Philosophy. Newsletter 11(2): 19-28, 2012. Practice Together. New York: Springer Publishing, 2017. Food Ethics. Oxford: Oxford University Press, 2017. Noll, S. “Agricultural Sciences and Values.” In David Kaplan and Paul Thompson (Eds. ), Encyclopedia of Food and Agriculture Ethics. New York: Springer Publishing, Forthcoming. Ethics and Innovation. Netherlands: Wageningen Academic Publishers. Noll, S. “Agricultural Science.” In Mark Largent and Georgina Montgomery (Eds. ), A Companion to the History of American Science. New York: Wiley-Blackwell. Thompson P.B., and S. Noll. “Agricultural Ethics and Social Justice.” In N. Van Alfen (Eds.). Encyclopedia of Agriculture and Food Systems, Vol.1 (p.81-92). San Diego: Elsevier. (Eds. ), The Ethics of Consumption: The Citizen, The Market, and The Law (p.437-451). Netherlands: Wageningen Academic Publishers.